Western weddings come with all sorts of pretty details. Although not as bright and colourful as Indian weddings, their toned down, minimal charm gets to us like no other. When Ahemdabad based photographer Shraddha Rathi of Dreamgraphers dropped this wedding in our inboxes, we were ecstatic! Christie and Ryan’s pristine white wedding held at Sacred Heart Church in Edmonton, Alberta, Canada was all sorts of gorg with tinges of blue and purple that only added to this prettiness. If you’re looking to do a warm, intimate wedding then let Christie and Ryan’s wedding serve as perfect inspiration. After taking vows to love each other for a lifetime, this stunning couple made their way to celebrate this new beginning with family and friends. The adorable guest book idea and wedding give-aways! The birdcage that held all the cards is a must-do – even at your Indian wedding. The bride’s drop-waist white silk wedding gown and fresh wedding bouquet that beautifully complemented the table settings as well as the wedding cake. THE STUNNING post wedding photographs taken at Lake Lousie, Alberta. We asked Christie and Ryan for a word of advice for couples-to be and here’s what they had to say. The stunning bride told us that forgiveness is key in making a relationship work. “Always be understanding and forgive, she Ryan says respect towards your partners opinion along with learning to make concessions for her is what makes the marriage bond strong. With words like these, we’re positive Christie and Ryan’s life will be as beautiful as their wedding! Little sparkly details in the brides updo making us swoon! 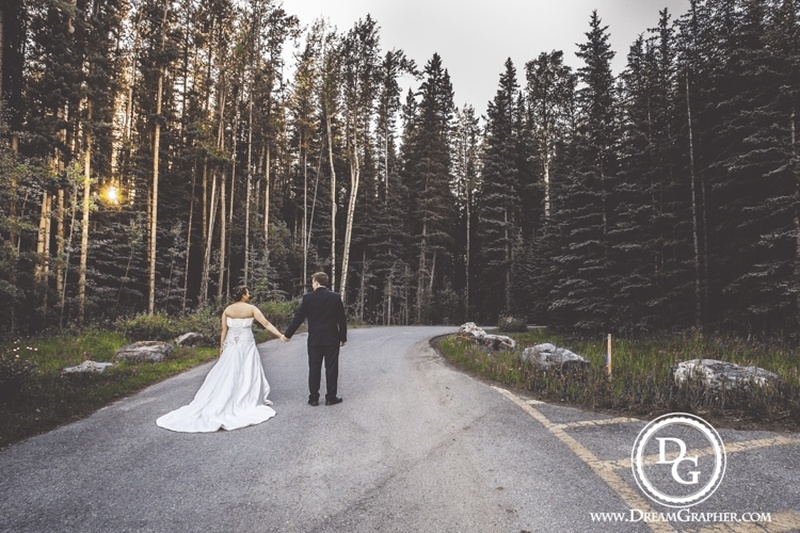 Held at Lake Louise, Aberta - this post wedding shoot was all things whimsical! Snow-capped mountains, pointed pine tree forests, crystal mirrored blue lakes and Christy and Ryan's undying love - Dreamgraphers Photography captured it all with utmost perfection!